Yang & Chen Tai Chi Locations - The China Taichi Guide is a Directory of Tai Chi Schools & Tai Chi Teachers in China. Tai Chi can be found in parks throughout China if you look early enough in the morning when people are out. There are also Wushu academies in most cities which will teach some form of Tai Chi, often at a good level. There are specific areas however where Tai Chi is the strongest because of the history of where it evolved and where specific teachers passed on their art. The aim of these pages is to provide enough information for you to confidently start off in a given area. The Travel Guide Books provide information on many areas of China but are not specific to Tai Chi. Chen Tai Chi originated in Chen Jia Gou, Henan and so this is the first place for me to discuss. 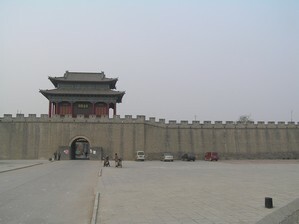 I include Zhengzhou here as it's the capital of Henan and close to the Shaolin Temple where Kungfu probably originated. Yang Lu Chan, founder of the Yang Style learnt in Chen Jia Gou, but was from Guangfu, near Handan and so this is the next place to discuss. 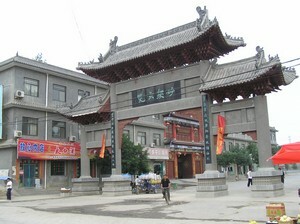 Chen Wang Ting probably learnt his Taoist knowledge from the Wudang Mountain and this area also has its own interesting form of internal martial art, Wudang Kungfu so it is listed next. I've included Yangshuo high in the list as it's an easy, relaxed environment for foreigners to live in for a while and the surrounding countryside is beautiful. There are quite a few good schools and teachers there now and I see it as playing an important role in the spreading of Tai Chi to Western students. The other areas I'm interested in are Beijing, Xian, Kaifeng, Louyang, Hong Kong, Taiyuan, Kunming, Chengdu and Dali but I will provide information on them at a later date. 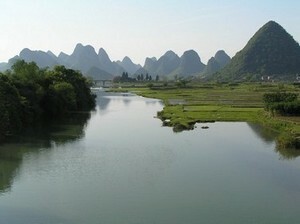 Hangzhou is also worth mentioning as its a good place to live. Hopefully this guide will expand in time. The Lonely Planet and other guides cover many areas, but don't list Tai Chi teachers very much or the parks where you might find them. Some of the main areas for Tai Chi such as Chen Jia Gou and Handan, don't appear at all in these guides and so perhaps this website will fill the gap. The China Taichi Guide : Yang Tai Chi & Chen Tai Chi Locations in China - A guide to locations in China where you can find high quality Yang, Chen & other Tai Chi Teachers and Schools, providing information to help you find the right Tai Chi teacher for you.